WASHINGTON -- The Federal Reserve is considering turning its annual health check for big banks into one of the tools it could use to prevent a build up of excessive financial risks. If deployed, the modified tests could force banks to retain billions of dollars that otherwise would have gone to shareholders. While the move would help cool off sectors at risk of overheating, it could spark the ire of bank executives, who complain of rising regulatory burdens. Since 2009, the Fed has conducted the so called stress tests on the largest U.S. banks to judge whether they have enough capital to survive economic downturns and market turmoil. But as the Fed ramps up its crisis-prevention ability, its officials are now discussing whether to shape the annual test to take aim at particular markets or sectors to address risks to the whole economy, according to people familiar with the matter. "Suppose you were concerned about a housing bubble. In the stress test scenario, you can put a bigger housing collapse into it," one of the people told Reuters. "For example, the test assumes housing prices are going to collapse by 50 percent instead of by 30 percent." In its present form, the stress tests focus on important financial institutions' ability to withstand economic shocks. 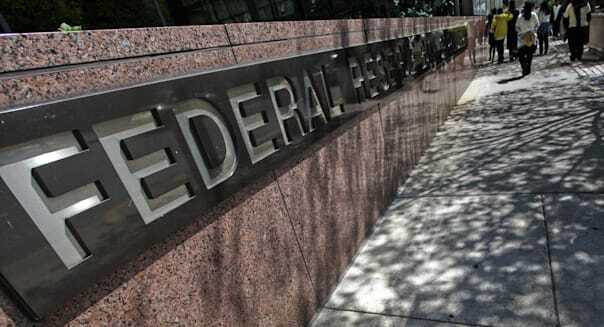 The new approach, if adopted, would allow the Fed to modify test scenarios to focus on potential trouble spots and make banks take precautions that would protect not just them but the entire financial system. The tests apply to the 30 largest institutions operating in the United States, including JPMorgan Chase (JPM), Citigroup (C) and Goldman Sachs (GS) and Bank of America (BAC). Banks that fail the test may be told to scrap share buy backs or cut dividend payouts. Citigroup's failure to pass a portion of the annual test earlier this year forced it to give up a planned $6.4 billion share buy back and a dividend rise. Behind the Fed's increasing focus on stability is the memory of its failure to prevent the 2007-2009 subprime mortgage market meltdown. It is also concerned that the Financial Stability Oversight Council established by Congress after the financial crisis is too unwieldy to quickly head off new economic threats. Fed Vice Chairman Stanley Fischer, who leads the Fed's new financial stability committee, highlighted in July the contrast between the U.S. body that coordinates work of 10 government agencies and the Bank of England's powerful Financial Stability Panel with its legal power to impose policy changes on regulators. An official at the U.S. Treasury, one of the Council's members, told Reuters that it takes a long time for the panel to act even if risks become apparent. "You might see something ... but getting in there is hard to do quickly." Basel III international bank standards also allow central banks to apply a so-called counter cyclical capital buffer and a surcharge on systemically important financial institutions as preventative measures. Both could force banks to raise tens of billions of extra capital, denting returns for investors. For now, however, the focus at the Fed seems to be on the stress test as its key financial stability tool. "Stress testing ... I think holds great promise as a capital tool, a risk sensitive capital tool, for big institutions, but also taking a macroprudential look because of the multiple scenarios that apply to everybody," Fed governor Daniel Tarullo said at an economic forum Saturday. Tarullo sits on the Fed's new financial stability committee. A central bank can attempt to cool financial markets by raising interest rates, but Fed chief Janet Yellen has said such a blunt tool should be used only as a last resort. Instead, central bankers prefer so-called macroprudential measures that aim to curb excessive risk-taking by financial institutions or consumers. "To my mind, the best tool that we have is really the stress tests," San Francisco Fed President John Williams told Reuters this week, adding that he was not directly involved with the Fed's financial stability oversight. "Like mortgage lending. So if that's what your concern is today, you can have the stressed scenario be designed to include that aspect of potential system risk." -With additional reporting by Douwe Miedema. The first step is to know how much you currently owe on each credit card, said Gail Cunningham, spokesperson for the National Foundation for Credit Counseling, the Washington, D.C.-based national nonprofit financial counseling organization. If you don't know, you're doing personal finance wrong. "Burying your head in the financial sand won't solve anything -- there are no answers down there," she said. Reviewing your credit report and score in the past 12 months can point you toward any discrepancies or errors which you can dispute easily. Ensuring that your credit score is higher than 600 important and will enable you to receive lower interest rates when it comes to buying a car or house or obtaining other loans. Your creditworthiness is ranked from 300 to 850. Another indicator that you are heading for trouble is if you find yourself near the maximum amount allowed on your lines of credit. If you're considering applying for new lines of credit because the existing ones are maxed out, you'll only make matters worse, NFCC's Cunningham said. "The last thing you need is more credit," she said. "Instead, probe to see why you are relying so strongly on credit cards to support your lifestyle." It's important to minimize "percentage utilization" and maximize "credit available," said Kevin Gallegos, vice president of the Phoenix operations with Freedom Financial Network, a company which helps consumers with debt issues. "If you have a credit card with a limit of $10,000, and you owe $3,500 on it, that's 35 percent utilization," he said. "Anything over 35 percent is considered is high, a warning sign that you may be living beyond your means and can impact credit scores." Consumers who are current on their vehicle payment are a step ahead of their counterparts; if you're behind, you're on a rocky financial road. If you are facing a money crunch, prioritize your bills, including making payments for your apartment or house and your monthly auto loan. Another indicator that you are nearing serious financial issues is you have overdrawn on your checking account more than twice in the past 12 months. The overdraft fees are only adding to your dilemma. Instead, use free budgeting software or load an app from your bank that allows you to check your balance as often as you need to, even if it is daily. Some bills take longer to clear, so your current balance may not reflect that. If you lack an emergency savings account, you could be headed for disaster if you run into car problems, lose your job or have a minor accident that prevents you from working. Only 51 percent of Americans have more emergency savings than credit card debt, according to a Bankrate.com (RATE) report. The survey also found that 28 percent of people have more credit card debt than emergency savings, the highest percentage in the past four years while 17 percent have neither emergency savings nor credit card debt. "Since the recession, people recognize how important emergency savings is," said Bankrate's McBride. "They have less appetite for credit card debt. Despite that recognition, people have had a difficult time making headway for savings in an environment where income is stagnant." Receiving collection calls and notices is another sign that you aren't living within your means. Many creditors are willing to negotiate your payment amount or waive some fees temporarily so consumers who try to seek a remedy before their debt goes into collection are facing less damage to their credit score. Consumer spending can easily wind up being bad debt, which is debt that is used for the consumption of goods with little to no long-term value or goods with diminishing value, said Jason Ayala, a private wealth adviser in Phoenix for Ameriprise (AMP), the financial services company. "An example of bad debt is carrying credit card debt that was used to subsidize a standard of living that exceeds your income," he said. "If used appropriately, debt can be a very powerful and beneficial tool -- if not it can derail even the best laid financial plans." Even if it was a one-time occurrence, applying for a credit card cash advance, payday loan, title loan or borrowing from your 401(k) or IRA in the past 12 months is a sign that you need to regain control of your finances. "Adding new debt on top of old is a financial death trap," Cunningham said. "Balances grow, and you end up paying interest on the interest. Digging out of debt is impossible unless this practice stops." If you are spending more than 28 percent of your gross salary paying rent or your mortgage that hampers your ability to maintain a moderate standard of living. Some lenders approved mortgages for homeowners to borrow up to 35 percent of their income during the past decade, but experts advise against spending that close to the threshold. Consider refinancing your mortgage, obtaining a roommate or at least cutting back on other bills or expenses. The 28 percent mark is a good rule of thumb, but it may vary depending on where and how you live, Gallegos said. "Someone who lives in the heart of San Francisco or Manhattan and doesn't own a car may have a higher percent for the home category, but a lower allocation for transportation," he said. Being able to maintain your current lifestyle without using your credit cards is a good sign. In July, total consumer revolving debt, which includes credit card debt, rose by 7.4 percent from June. "This is a time when consumers can and should be saving more of their personal income compared to driving up debt," Gallegos said. Consumers should aim to save 10 percent of their income. Living within your means on a daily basis and using credit cards only in real emergencies is the best option. "Paying down credit card debt is one of the best investments you could ever make since the effective rate of return easily can approach 20 percent," he said. "In addition, having no credit card debt is in itself a financial cushion. It will require strict discipline, belt-tightening and a revision of your goals."